The latest Raspbian operating system for the Raspberry Pi has a number of useful features and updates. For example, Pi owners now have access to a Pi-optimised of the powerful and popular VLC video player app. All you Python coders can fire up a major new version of the Thonny IDE. Thonny version 3 introduces Breakpoints, to help weed out coding bugs, and a code-analysing assistant and improve your coding skills. • Full - with apps such as LibreOffice, Scratch, Sonic Pi, Thonny, Mathematica. My popular Learn Python on the Raspberry Pi tutorial series is now Python 3 compatible. I've updated all the code examples to run in Python 3, and tested them with version 3.5 and 3.6. Where appropriate I make references to Python 2.7 differences, for example in the tkinter GUI tutorial series of posts. In a previous blog posts I talked out the benefits of the Thonny Python IDE and some of the new Thonny features for coding in Python on the Raspberry Pi and MicroPython on the Micro:bit. Now Thonny version 3 is out. It introduces Breakpoints, to help weed out coding bugs, and a code-analysing assistant and improve your coding skills. Thonny version 3 is included in the latest Raspbian operating system for the Raspberry Pi family. Previously, in my micro:bit MicroPython Coding Tutorials I introduced a easy-to-use coding editor, with full micro:bit MicroPython support, called Mu. Now there's an updated version of Mu available for download for the Raspberry Pi, plus devices running the Windows, macOS and Linux operating systems. Goal of this book is to deliver a practical introductory guide to microcontrollers, how they work and how to extend their functionality using electronic circuits and code. 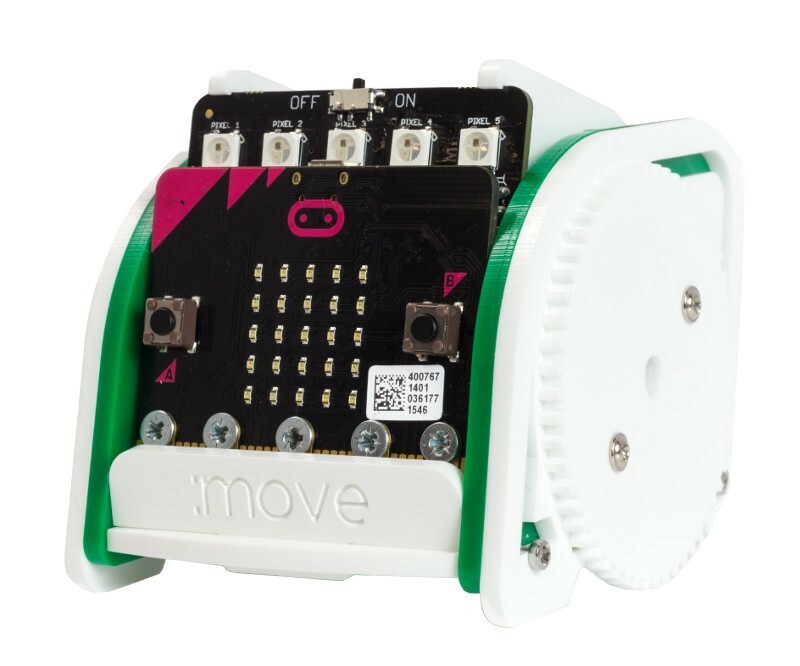 The first chapter is a basic introduction into the microbit board, its component, control capabilities and interfacing to external devices. While chapter two introduces basic coding techniques using the popular web-based Microsoft block editor. The next three chapters offer more advanced coding examples, including controlling the LED display, A and B button interaction, creating programs with loops and decision logic. The remaining chapters dig a little deeper into digital and analog I/O, with real-world project examples such as detecting battery level, temperature and movement. The open source webOS operating system – originally developed by Palm - has been optimised to run on the Raspberry Pi, as hosted at webosose.org. Viper is hosting a pre-built image for download. Alternatively you can use an Ubuntu 14.04 LTS 64-bit distro and compile the source code yourself. The recommended Pi platform is the Raspberry Pi 3B, or the new Pi 3B+. The initial offering only offers a small number of apps, but developers can create their own with the IoTivity and iotivity-node node tools. The recent Raspberry Pi 3 Model B+ launch adds more processing power, graphical performance and networking capabilities to the Raspberry Pi family. Consequentlyy, it's an ideal platform for Linux-derived Raspbian Stretch operating system. And, as both Python and Java are preinstalled on Raspbian Stretch, it's a cost effective way to dive into software programming. You could begin your Python coding journey with my free in-depth Learn Python on the Raspberry Pi series of posts. Or learn the basics of the Java programming language with tools like BlueJ (maybe using the BlueJ Learning Videos), or the Greenfoot IDE or Dr Java. This coding knowledge can then be employed to customise the hackable Raspberry Pi Minecraft edition using Python code or with Java uamd BlueJ. The ‘Easy Steps’ books are well known for their excellent layout, clear and concise text and easy-to-follow instructions. It’s a format that ensures this Raspberry Pi in Easy Steps book is a great choice for anyone beginning their Raspberry Pi journey. Inside author Mike McGrath kicks off with a basic introduction to the Pi. You’ll become familiar with the board’s components, the startup and login process, the graphical desktop and the underlying file system. An overview of the Linux command line completes this section. The rest of the book is devoted to writing code. As a gentle start it begins with the Scratch language, where you’ll snap-together various blocks to build event-based animations using its stage, sprites, costumes and sounds. All the remaining sections focus on the far more flexible Python language. Topics include the Python command-line interpreter, data structures (lists, tuples, sets and dictionaries), loops, functions, modules and file I/O. Then it moves on to building simple games with the pygame module and creating tkinter GUI apps. Lastly, there’s a short introduction to interfacing with the Pi board's GPIO pins. In summary this book is an excellent introduction to Raspberry Pi coding. Follow the steps all the way through and you’ll be in a position to tackle a wide range of Python coding projects. And remember, the Python language is also available for Windows, macOS and most other Linux platforms. The aim of the Creative Projects with the Raspberry Pi book by Kirsten Kearney and Will Freeman is to inspire readers to build electronic projects with the Raspberry Pi 3 and Zero W. In total there are 35 different projects to build, across topics such as robots, games, home automation, scientific experiments and art. Beginners can start with the basic building projects, such as a classic LED switching circuit and a Raspberry Pi power button. These only need a breadboard and a few simple components. And the project code is from the publisher's book's webpages. However, there is no getting away from the fact that the core of this book revolves around relatively sophisticated, and in a number of cases extremely involved, electronic Pi-powered contraptions. In other words, it's aimed at serious hardware hackers, rather those who simply wanting to tinker around with Raspberry Pi electronics. While one or two projects can be done in a few hours, many will take much longer to construct. In fact, for a few the timespan is measured in weeks. So you’ll need plenty of patience, a solid soldering technique plus an assortment of DIY skills. And you’ll need deep pockets too. When you take into account all the additional components, such as an LCD screen, various add-on boards and experimental kits like the CamJam EduKit 3, the majority of projects cost considerably more than a Raspberry Pi 3. The most advanced projects can cost thousands of pounds. In summary, it’s a book stuffed full of innovative and well documented ideas. And you can of course take these ideas and develop you own custom variations. 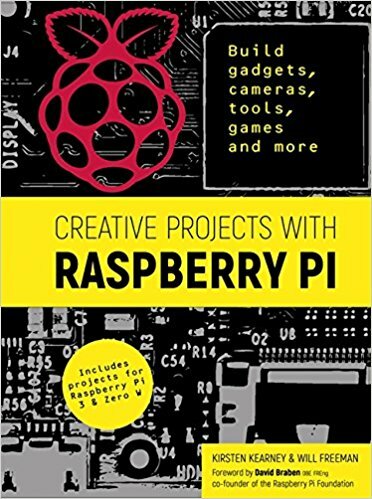 But if you're just taking the first steps of a journey into Raspberry Pi hardware hacking, or your time and funds are limited, it probably isn’t the right book for you. The 7th February marked the tenth anniversary of the launch of the European Columbus module using the Space Shuttle Atlantis. The Columbus module, which is the European Space Agency’s largest single contribution to the ISS, supports scientific research including astrobiology, solar investigations, metallurgy and psychology. Some of the 225 experiments have been performed by the Astro Pi computers, based on an off-the-shelf Raspberry Pi. Find out how to build your own Astro Pi computer using a Raspberry Pi 2 or 3 and a Sense HAT. Then explore the downloadable Astro Pi CSV data from Tim Peake's ISS mission, create a Python Date Filter and explore the investigate daily data pattern statistics. Python is an increasingly popular coding language. In fact, recently the IEEE Spectrum organisation put Python at number one in its programming languages popularity ranking; above C, Java, C++ and C#. In other words, there's never been a better time to learn the Python language or extend your Python coding skills. Here are a few ideas. With well over 12 million boards in circulation the Raspberry Pi computer has undoubtably helped Python's impressive adoption rate. Start your Python journey with my free 'Learn Python on the Raspberry Pi' coding tutorial series. Discover how to code MicroPython programs that run on the micro:bit board, using either a web browser or the free-to-download Mu editor. Tutorial code examples cover interacting with the LED display, A and B buttons plus the built-in sensors. If you're a Minecraft fan then why not use the hackable Raspberry Pi Minecraft edition to write Minecraft Python code. Other development options include writing Java code using BlueJ. The newly launched Astro Pi Mission Zero initiative is designed to encourage young people to create Astro Pi programs. The winning programs will be uploaded and run on the International Space Station (ISS). In the past I've shown how to explore the downloadable Astro Pi CSV data, associated with Tim Peake's ISS mission, and the related Python Date Filter post.